Microsoft is getting serious about testing Windows 10 in a business environment, with the announcement of a new initiative: Windows Insider Program for Business. Known as WIP4Biz for short, the project was revealed at the Ignite Australia conference, with Bill Karagounis – Director of Program Management OS Fundamentals and Insider Program/Technologies at Microsoft – saying that the broad aim was to make Insider builds a better fit and easier to deploy in corporate environments. Microsoft believes that IT professionals are a large and critical group when it comes to testing new features for Windows 10, and providing subsequent feedback about the requirements of businesses. As Neowin reports, the software giant outlined its key goals for the program, which include providing a ‘scalable’ feedback mechanism for testers at all levels, along with the ability to test new commercial features, and “migrate business workflows to pre-release software where appropriate”. A Reddit-style system of ‘upvoting’ will be put in place so commercial users can highlight the most important issues to be fixed or worked on from their point of view. The other main point is to push the benefits of new Windows features and make them clear to businesses, sharing success stories and the like. 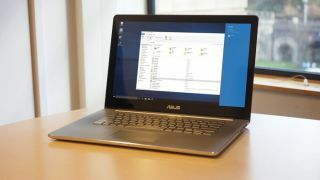 You can also expect dedicated WIP4Biz blogs and forums, surveys seeking the opinions of IT pros on Windows 10, and plenty of help documentation for when it comes to deploying preview builds of the operating system. As to when the WIP4Biz program will kick-off, Microsoft says the idea is to gradually roll it out over the coming months, so it shouldn’t be long before we get the first taste of how all this will work. The company is clearly keen to push businesses to adopt Windows 10, as only last month, a new offer was introduced to allow those who have a Windows subscription with the Cloud Solution Provider scheme to upgrade their Windows 7/8.1 machines to Windows 10 for free.